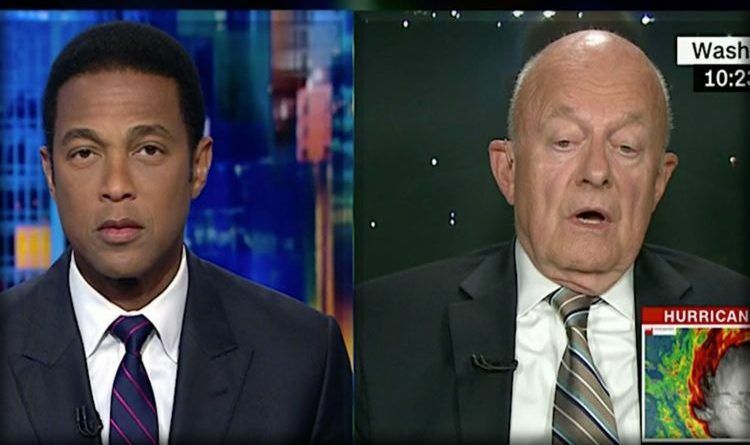 Speaking with CNN’s Don Lemon on Thursday night, Obama’s Director of National Intelligence James Clapper said that allegations that FBI “spied” on the Trump campaign were a “good thing” for the country. Great job Clapper, admitting to an illegal act… Thanks for giving the Intelligence Community a black eye and forever calling into question the integrity of intelligence activities. However, earlier this week, President Trump slammed the possibility of an “inside man”, saying it would be a bigger political scandal than Watergate if this is true. Spying on Americans within the U.S. is illegal. The criminals aren’t even trying to hide it now. So, I think that it’s a VERY good thing that Clapper is nowhere near the levers of power any longer, and it will be better still when he is confined to a Federal prison cell! But, we would never have known how deep the establishment is embedded in the CIA, FBI, and Congress, without President Trump. The establishment colluded with rogue foreign governments and bad actors, with no regard for the American citizen. These people do not care about the Constitution or the rule of law, just personal bias and weaponize it against their perceived enemies. What do you think? Share this article and scroll down to leave a comment below!